Epson will be onsite at the E4 AV tour in Washington, D.C. to deliver in-depth information about Epson’s line of installation projectors. Epson staff will conduct an education session on 3LCD projection technology and the Color Light Output (CLO) product specification and how it can impact projector sales, as well as a technology comparison between 3LCD and DLP projectors, showcasing the difference in color brightness between the two technologies. Those who attend the CLO education session will receive 3 CTS renewal units for InfoComm Certification. Attendees will also have the opportunity to learn about the latest projection tools from additional vendors at the accompanying exposition breakout sessions, including screens, digital signage, projector mounts, and connectivity solutions. Almo Professional A/V, in partnership with InfoComm International, invites AV resellers, integrators and consultants to “Navigate to New Horizons.” E4 will include new training sessions worth InfoComm Renewal Units, 35 exhibiting manufacturing partners showing first-run products, live demos, and business-changing networking opportunities. The event will include a keynote address delivered by Gary Kayye of Kayye Consulting called “Being Smart About Smart Buildings,” which focuses on the practice of pre-engineering AV into every room in new construction and how to become a preferred provider to the architect and facility manager community. During this specialized one-day dealer event, Epson will display its new BrightLink Pro 1430Wi, featuring finger touch and whiteboard sharing capabilities that enhance business meetings, brainstorms and collaboration. 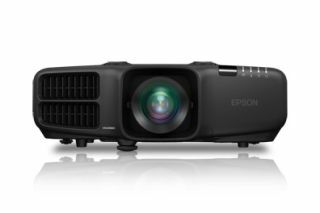 Epson will also showcase the PowerLite Pro G6900WU featuring WUXGA resolution and 6,000 lumens of color brightness and 6,000 lumens of white brightness2, full HD performance, and HDBase-T connectivity. E4 Washington, D.C. is a one-day event and will showcase an exhibit hall with over 35 top manufacturers. The free event begins at 8 a.m. to 4 p.m. and will include nine informational courses along with the Epson Technology Comparison.